Don’t just take our word for it, see what other Area clients have to say about our commercial refrigeration services. 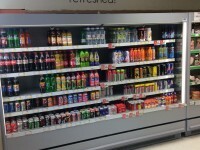 "Trev has helped both with design of our new stores and upgrading existing with shelving, counters, remote and glass doored refrigeration." 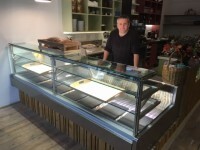 "Trevor first refurbished our original premise removing all the old counters and installing new curved glass bakery cabinets and multi-decks. 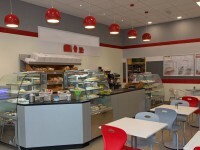 Two years later I had no hesitation in him designing and installing our new shop at Whiteley." 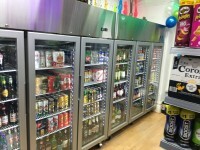 "Trevor has looked after our growing number of convenience stores and newsagents in Sussex and Hampshire for the last 10 years from complete refits to small refurbishments. His knowledge of what is available and how to design and layout stores has proved invaluable." 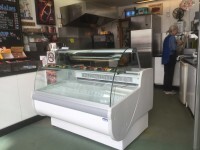 "I have known Trevor for 10+ years, he has gradually upgraded all the equipment at the shop with new and used refrigeration. Always professional, polite and keeps his word." "I have known Trev for certainly 15 years looking after restaurants and function rooms for me. He has always proved reliable, knowledgeable and unequalled when it comes to finding and sourcing equipment at the right price. Great impartial advice."